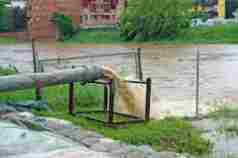 Generally there are two types for stormwater runoff 1. Hydrograph method It is used for longer water sheds generally greater than 3km2. 2. Rational method Rational method is very handy method for the calculation of storm water in urban areas.